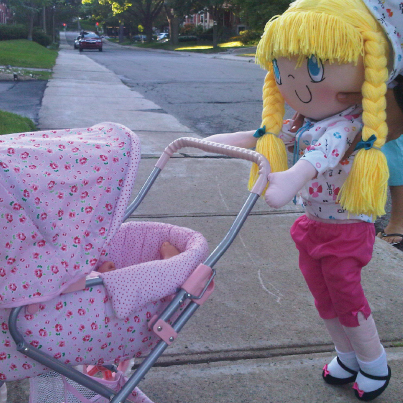 Retailers Photos: Check out My Friend Huggles’ Rubi doll all dressed up for Spring in Kool & Child’s Facebook banner! Great photo Kool & Child! 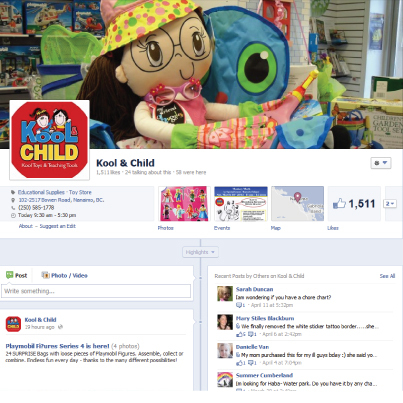 Kool & Child is Vancouver Island’s largest specialty toy store! 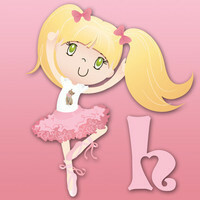 Over 6000 sq ft of quality toys & learning tools to surprise and delight all ages! Little children love music and can learn so much from a simple beat or pattern. 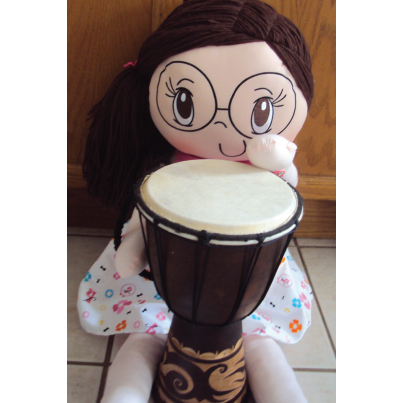 Whether you simply let your child drum pots, bang spoons, or you purchase items like Rubi’s bogo, it’s important to give them musical time. They learn agility, numbers, repetition, memorization, expression of self…and the list goes on—let your little one make some noise! 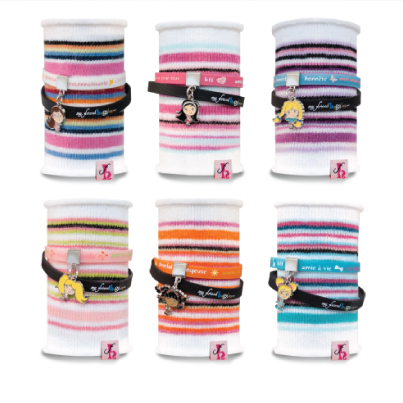 Check out our Cool Cuffs! It’s cool to wear character values! Check out our Cool Cuffs ~ Fun accessories that promote virtues such as honesty, generosity, kindness, gratitude, fairness and cheerfulness. 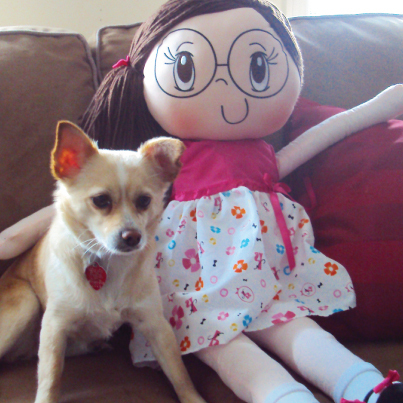 Listen to the My Friend Huggles theme song on Soundcloud. We teach beauty from the inside out. Thanks for sending in photos! 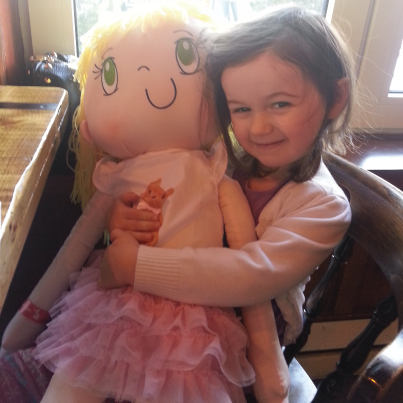 Thanks so much for sharing how Lily has become part of your family! 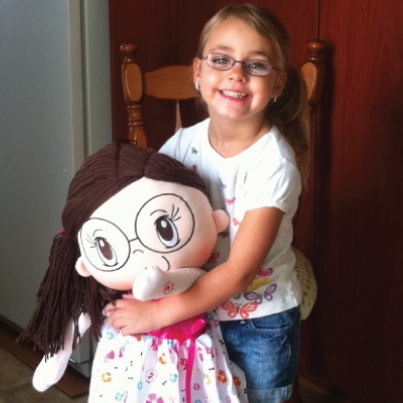 Imagine a huggable, lovable, soft life-sized doll your daughter will snuggle with, that can also teach her a special virtue. Little Thoughts…are the precious things little people say or ask.